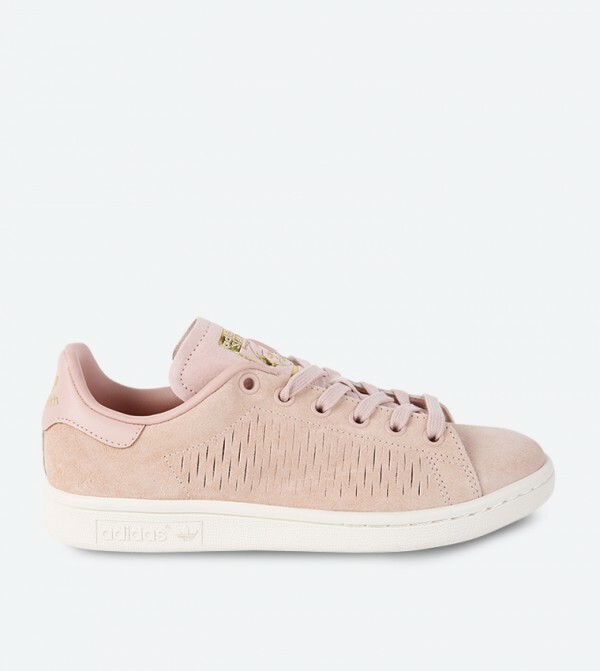 The crisp tennis style of the iconic Stan Smith gets a soft makeover. These women's shoes come in leather material with allover perforations that encourage airflow. Made in pastel colors to go with warm weather fashions. Featuring metal eyelets with secure lace-up closure, cushioned OrthoLite insole with antimicrobial coating, thick protective foxing around midsole, Adidas Originals signature and Trefoil branding.